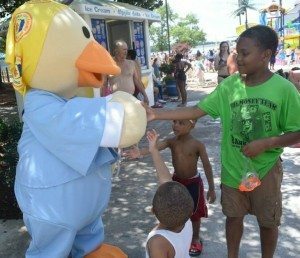 The third annual Duck Derby was a monumental success! Although it was an incredibly hot day in Nashville, the park experienced record-breaking crowds. Prior to the race we sold 1,200 ducks and during the race, we sold another 300 ducks! Our grand total of 1,500 ducks sold was the biggest number to date. The event raised enough to supply 300 children with Chemo Ducks. Riley Bria was an incredible addition to this year’s event. He played songs from his upcoming album and “wowed” the crowd with his talent. The six-foot rubber duck was also a huge hit along with visits from the Chemo Duck mascot and Freckles the Frog. The children were thrilled to say the least! 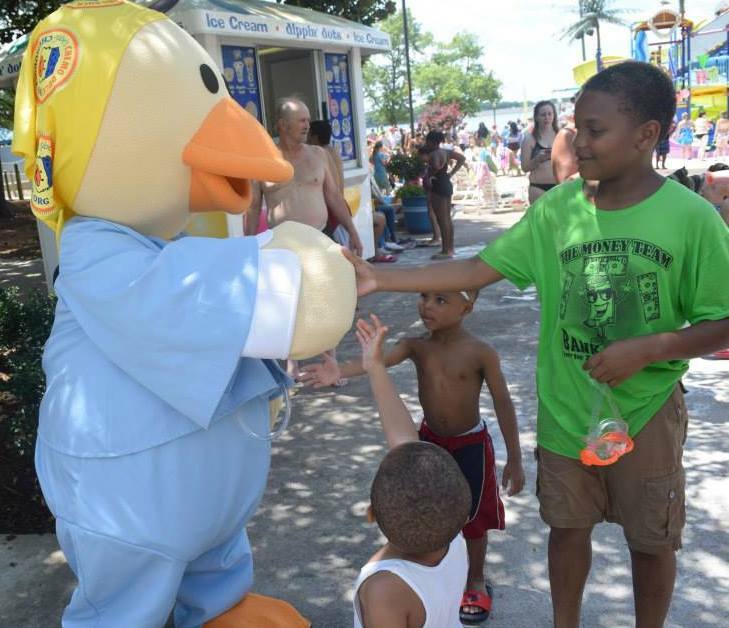 We were honored to partner with Nashville Shores on this fun family event. We are also extremely grateful for our growing number of sponsors including Jackson National Life Insurance, B.L. Harbert, StoneTree Mulch Gravel and More, Williamson Pediatric Dentistry, AMP&M Specialties, Crain Construction, Doster Construction and Nashville Publicity Group. Check out our two Facebook albums for some amazing pictures!